As soon as the first plane was invented, it became the founding stone for the seaplane which took of for the first time in 1910. The first seaplane the “Le Canard” flew for 800 meters in its first flight. During the achievements of its era, it was considered monumental. 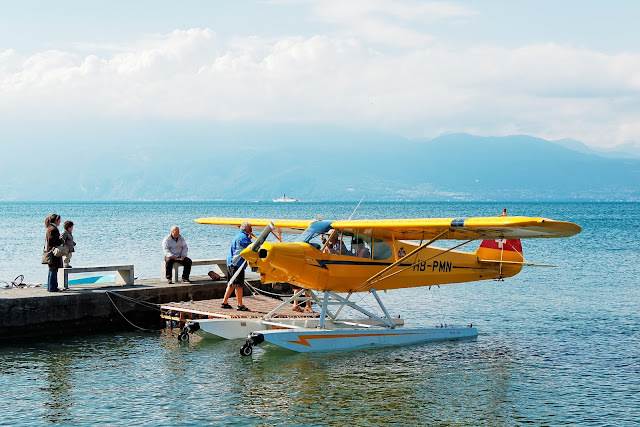 Although the first flight of the Seaplane occurred in France, United States would soon follow after with the invention and production of its first seaplane in 19911 by Glenn Curtiss. It was a monumental event for the United States as it signaled a beginning of an era that would mar a huge race in Aeronautics between Europe and the United States. The second type of a Seaplane that was very popular in the 1920’s and 1930’s was the Flying Boat. As the name suggests, it was a design that allowed the plane's fuselage to act as a boat when it landed on the sea or a body of water. Hence, it was termed the Flying Boat due to its ability to land and take off from the water. When a flying boat landed on the water, its main fuselage would sink by 15% into the water for a smooth landing and hence it would not use any landing gears. This model of a seaplane termed the Flying Boat was very popular in the 20’s and 30’s and it was even used in the World War I very extensively. IN time, seaplanes also became commercially feasible. The world’s biggest airline PAN AM used seaplanes as its main carriers for a long time until Boeing Aircraft became popular. Especially in the 20s and 30s, airports and airstrips were not very common due to lack of commercial investment. Thus, seaplanes were the perfect aircraft so that they could be used to land in a body of water especially near coastlines. A special big sea/airfield was designed in Hawaii to accommodate transoceanic flights that would carry passengers by means of flying boats from Hawaii to Mainland. By the advent of 1940’s the era of airplanes really began and the flying boats as a commercial plane were discontinued. By the 1950’s with the advent of Boeing Aircraft, seaplanes had just become a part of a long forgotten legacy. So with the WWII, ended the era of the flying boat airline and mainly invented since airlines did not have long runways that could handle large planes. Aids to help in navigation were minimum, weather and other problem created problems for planes and the flying boat seemed to counter them quite effectively.